On this day fifty years ago, in a year filled with as much social and cultural anxiety as we face today, a Broadway musical opened that made a political statement but also paved the way for rock music to seep into the Great White Way. 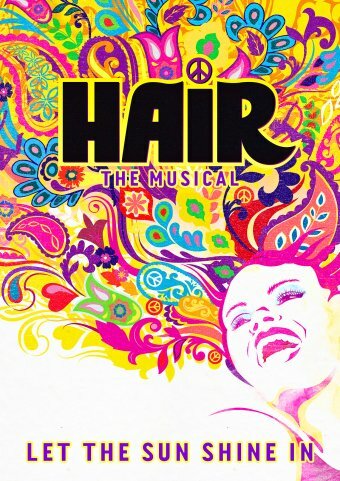 HAIR debuted on Broadway April 29, 1968. Controversial for its time, HAIR: The American Tribal Love Rock Musical has gone on to become a standard. Charleston has even seen several high-quality productions in recent years. There was even a movie version, back in 1979, directed by Milos Forman. To mark this anniversary PopCult brings you a complete production of the musical presneted by Nassau Community College, in Spring, 2016. I wanted to post the entire show, and this version came highly-recommended, and features a very talented cast. It’s sort of weird to think about how now, the entire original Broadway cast is probably past the age of 70. Tempus Fugit, folks.